Quality printing. Old fashioned service. 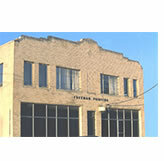 Family owned in Downtown Dallas since 1963,	we	have	a	complete	printing facility to handle your printing project from start to finish in-house. With varied equipment suited to handle paper sizes from small sheet to large, we are efficient and competitive on a broad range of products. Service, Price and Quality are a combination that seems to be vanishing, but at Freeman Printing we appreciate your business and these are fundamental to our business. Tired of waiting in line? Call and we will assist you by phone or come to you and help you using the best method for producing your next project. Our printing is done by printing professionals who know printing, not by part-time retail counter help. First impression means everything and your printing enhances that impression. Your printed piece is sometimes where your customer sees your name the most. It stays in your customers' hands long after your salesman has gone. Hopefully they have plenty of your invoices in their office too. A professional image is what quality printing is supposed to convey and it doesn't have to cost more. Let us help you build and maintain your successful image! We also do in-house packaging and distribution. From labels to letterheads or postcards to posters, we are real printers with real presses, not brokers or quick print. 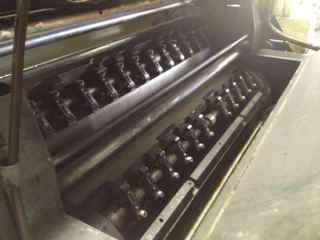 We have presses that handle sheet sizes from large to small. With a complete in-house art department, printing department to our in-house finish bindery, we can carry your next project from start to finish at old-fashioned prices. Letterheads, envelopes, posters, labels, production forms, business cards, brochures, posters, tags, shelf talkers, pole signs, doorhangers, table tents, menus, mailers, bottle neckers, notepads, calendars, carbonless forms, receipt booklets, sales forms, order pads and much more. Paper printing up to 18" x 25" paper size, die cutting, foil stamping, numbering, shrink wrapping, laminating, thermograving, large graphics signage, and distribution. We archive and access our customer's job history and archive the printing plates for reprints on all jobs. Located on South Akard at Griffin Street East just a few blocks south from the Dallas Convention Center and City Hall near downtown Dallas in the historic Cedars neighborhood. Our location provides easy access from downtown and all the major Dallas freeways with plenty of FREE Parking for our customers. © 2017 Freeman Press, Inc. All rights reserved.